Actress and former HOLA Award honoree Lauren Luna Vélez has been announced as having a recurring role in the third season of ABC's "How To Get Away With Murder". She will play the boss of the main character, Annalise Keating (played by Emmy Award winner Viola Davis), in the hit series created by Shonda Rhimes. Vélez will play the President of (fictional) Middleton University, where Keating works as a professor. The third season of "How To Get Away With Murder" is scheduled to premiere Thursday, September 22, 2016 on ABC. For more information, read Andrew Stehney Vargas' article in Remezcla by clicking here. Andrea Navedo, shown at right, was featured in Latina magazine, where she talked of her life and career, specifically referencing both her role as Xiomara Villanueva, the titular character's mother in "Jane The Virgin" (The CW), and her return to the New York stage with a starring role in Jerry Sterner's Other People's Money. The play (which is being produced by James Price and Navedo) will be directed by John Grabowski and run in July and August at Chelsea Repertory Company @ Theatre 54 at Shetler Studios in the theater district of midtown Manhattan. To read the article, click here. 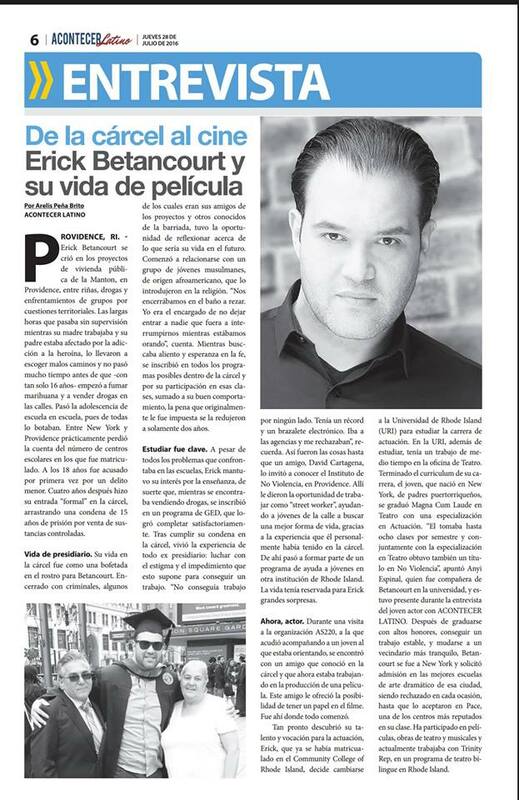 Erick Betancourt was profiled in an article in the daily Providence, Rhode Island newspaper Acontecer Latino, where he talked of his life and career as an actor. To read the article, which is in Spanish, click on the image at left. Víctor Cruz can be seen co-starring in the upcoming Noah Baumbach film Yeh Din Ka Kissa. The feature film, written and directed by Baumbach, stars Adam Sandler, Ben Stiller, Emma Thompson, Dustin Hoffman, Candice Bergen, Elizabeth Marvel, and Sakina Jaffrey. Rénoly Santiago co-starred in the HBO miniseries "The Night Of". Based on the British television series "Criminal Justice", it stars John Turturro, was written by Richard Price and directed by Steven Zaillian. 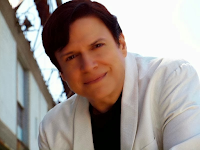 Guest Blog by Tommy Rivera-Vega. 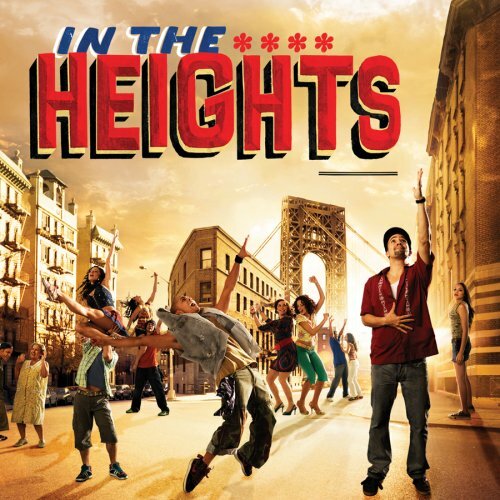 The Porchlight Music Theatre is presenting the award-winning Lin-Manuel Miranda-Quiara Alegría Hudes musical In The Heights this autumn at Stage 773 in Chicago, Illinois. The production is to be directed by Brenda Didier, and co-choreographed by Didier and Chris Carter, with music direction by Diana Lawrence and assistant direction by Adrián Abel Azevedo. On Monday, July 18, 2016, reacting to the theater's official announcement of the cast, the Chicago Sun-Times released this article congratulating the theater for its "authentic" cast. 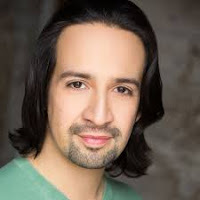 It started a spark in the Latinx community, first, because of the use of the word "authentic", and also because the lead role (Usnavi), the narrator of the story, was not Latinx. Two days after the press release, on Wednesday, July 20, 2016, Howard Sherman, director of the Arts Integrity Initiative at The New School College of Performing Arts and interim director of the Alliance for Inclusion in the Arts, shared this article in the The New School of Performing Arts/Arts Integrity blog. That same day, Dr. Trevor Boffone, a Hispanic Studies professor at the University of Houston, published this article on his website, from where the above quote originates. Later on that day, I released an open letter to Porchlight on Facebook, where I wrote, "I understand that you cast some Latinxs in the show (people that I have worked with before, respect their work, and love.) But when the person actually narrating the story is not Latinx, you are creating an atmosphere, an ecosystem, a perfectly created barrio around him, where the white folks behind it can now feel safe telling our story. You are essentially 'building a wall.' Not giving us a chance." "Your 'exhaustive' search was obviously not 'exhaustive' enough. Let me just ask this: When you were casting Dreamgirls, did it ever cross your mind to have Effie not be black? You knew you couldn't make that choice because you couldn't let down the Black community. You had the chance to do something special and powerful with that production, and you did. All the Latinxs in that audition room saw that, they trusted you, and once again it didn’t matter." On Tuesday, July 26, 2016, José T. Nateras wrote about the issue in the Chicago Art Institute's F News Magazine (see below quote). 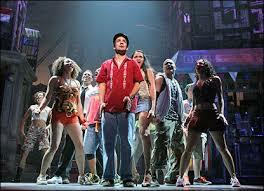 Even the esteemed American Theatre Magazine wrote of the controversy, in an article titled, "Whitewash ‘In the Heights’? Chicago, You Can Do Better", where Diep Tran writes, "Hispanics/Latinos make up 29 percent of the Chicago population (roughly the same percentage as New York City, where In the Heights originated). There are a number of Latino theatre companies there (including Teatro Vista and Teatro Luna); the Goodman Theatre regularly holds a Latino Theatre Festival; and Latino Theatre Commons held its 2015 Carnaval of New Latina/o Work in Chicago. Is the talent pool really not deep enough?" What does Lin-Manuel Miranda think about the controversy? 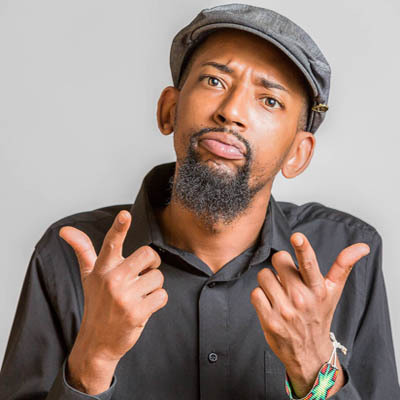 One can only surmise his thoughts based on his 2015 interview with Howard Sherman for Sherman's personal blog, which talked about race and casting with regards to his musical Hamilton and other projects. He said, "My answer is: authorial intent wins. Period. As a Dramatists Guild Council member, I will tell you this. As an artist and as a human I will tell you this. Authorial intent wins. Katori Hall never intended for a Caucasian Martin Luther King. That’s the end of the discussion. In every case, the intent of the author always wins. If the author has specified the ethnicity of the part, that wins." For their part, Porchlight Music Theatre responded to the controversy with an official statement. 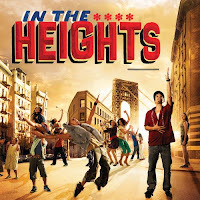 To our colleagues in the Chicago Theatre community, please know that we at Porchlight Music Theatre have been intently listening to and have clearly received the messages of concern regarding our upcoming production of In the Heights. The thoughts that have been expressed are accepted with the utmost seriousness and consideration, and we humbly wish to contribute to this needed conversation. In the casting of In The Heights, as with all productions at Porchlight, we did not invite nor require potential employees to state their racial self-identification as part of our casting and hiring process. All actors who attended were considered based solely on the content of their audition. Our continual objective is to create and encourage an environment of inclusion in all our work here at Porchlight Music Theatre. Moving forward, we are committed to expand our efforts in regard to inclusion and representation as well as furthering our relationships with the diverse talent and institutions that make up the Chicago Theatre community. Special thanks to Bear Bellinger for his contributions to this blog. Tommy Rivera-Vega is an actor-singer. Born and raised in Puerto Rico, Tommy has proudly called Chicago his new home. His credits include Mother Road (Goodman Theatre); Chino in West Side Story (Drury Lane); Barney the Elf (The Other Theatre Company); Latino Theatre Festival in Los Angeles and Chicago; A View from the Bridge, Lampshade, and Momma’s Boyz (Teatro Vista); Usnavi in In the Heights (Skylight Music Theatre); In the Heights and My Fair Lady (Paramount Theatre); Three Sisters (Steppenwolf Theatre); Kiss of the Spiderwoman (BoHo); Pippin (Music Theatre Company); Theo Ubique in CATS; AIDA (Bailiwick Chicago). 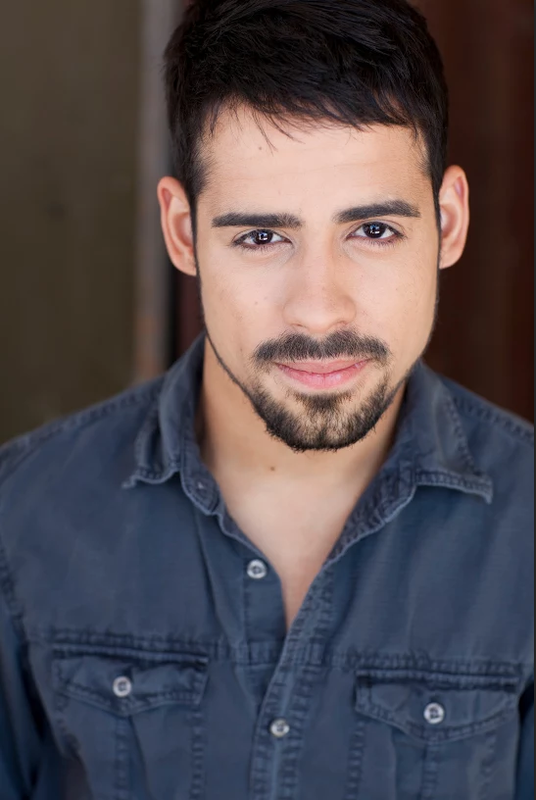 Puerto Rico credits include Moritz in Spring Awakening and Ren in Footloose (Black Box Theatre). He is a proud Teatro Vista and The Other Theater Company Ensemble Member. The CW's "Jane The Virgin"
Tickets are $18. To buy tickets, click here. 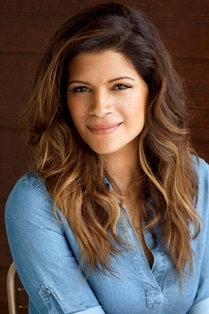 Check out El Blog de HOLA's interview with Andrea Navedo by clicking here. 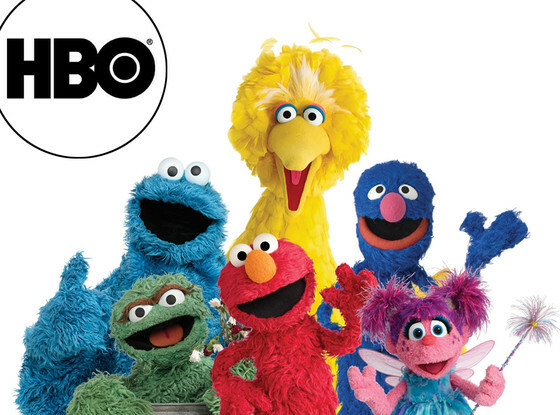 In August 2015, Sesame Workshop, the nonprofit behind the classic children's show "Sesame Street", announced a new partnership with HBO that will bring the next five seasons of the series to the premium cable channel and its streaming services. The partnership means that "Sesame Street" will be able to produce almost twice as much new content in each season. The show will still be made available to PBS and its member stations, which has aired the program since 1969, only now it will be free of charge for them after a nine-month window. With the transfer to HBO, the program is undergoing several changes, including a switch from hourlong to half-hour episodes, the addition of some new faces, and a major overhaul of the set. 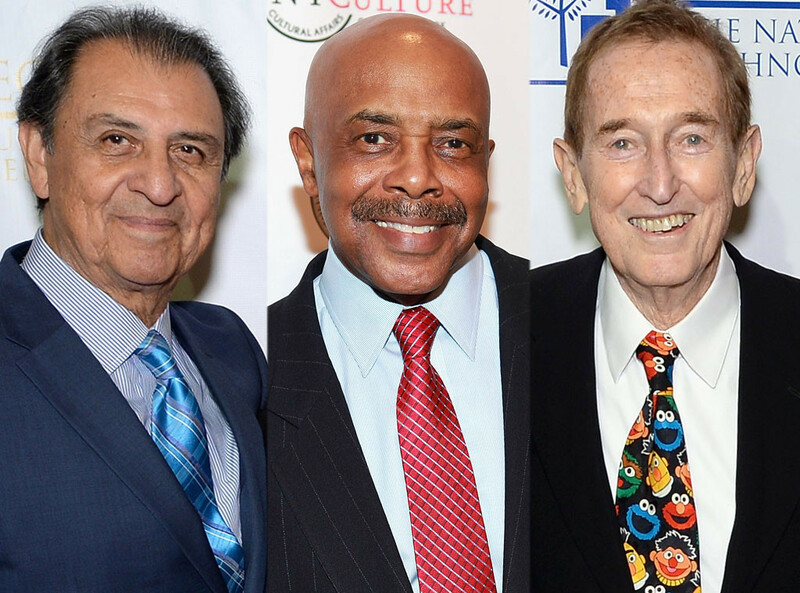 However, some of these changes include the departure of three-long-running cast members: Bob McGrath, Roscoe Orman and HOLA member (and former HOLA honoree) Emilio Delgado. of her late father, José Martínez. 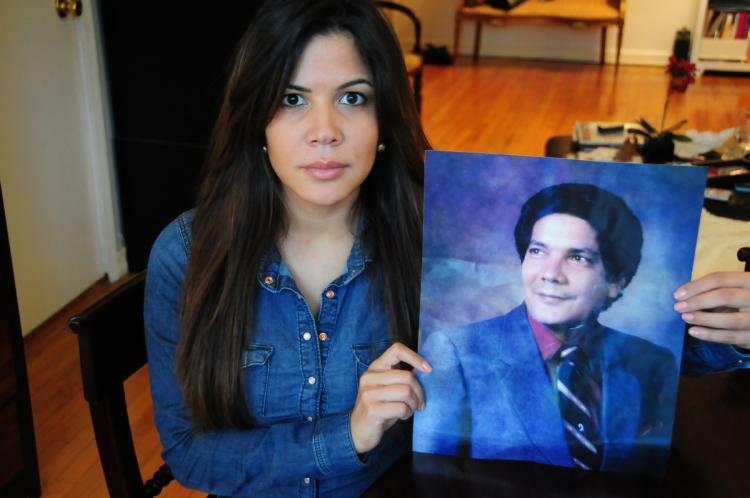 In 2013, actress-singer Joselyn Martínez was able to solve the cold case murder of her father in 1986, leading the police to the accused killer, Justo Santos (who fled New York to his native Dominican Republic and later returned to the United States, living in the Miami area, where he was apprehended). While Santos served a short prison sentence in connection with the murder of José Martínez upon his return to the Dominican Republic under his country's law against killing another Dominican national, he was never tried in the United States. mother, Idalia Martínez, in court. While the Manhattan District Attorney's office brought a murder indictment, the case was deemed too old to stick by a judge in 2014. However, Santos failed to disclose to immigration officials that he was connected to the Martínez murder when he re-entered the United States. As a result, he was charged with immigration fraud and tried. Thirty years after the murder of José Martínez, a Miami court found Santos guilty of immigration fraud on Wednesday, July 27, 2016; he faces a maximum of 10 years when sentenced this October. 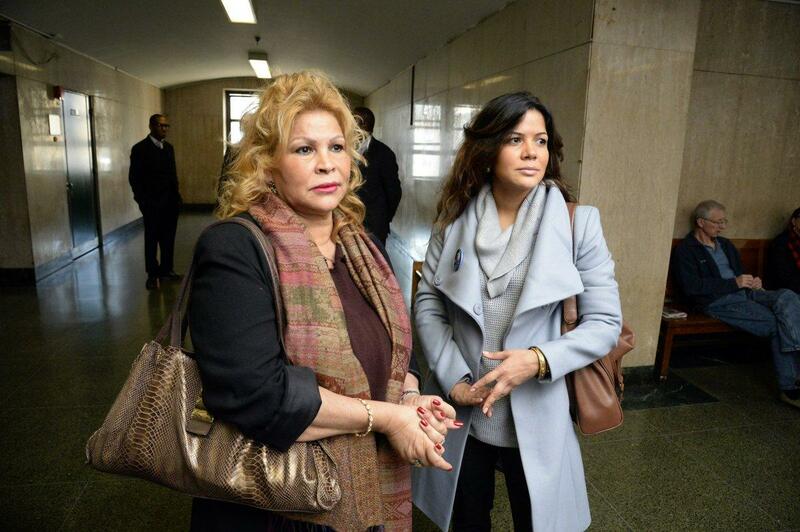 Both Joselyn Martínez and her mother Idalia Martínez were present in court for the decision. For more information, click here, here and here. The Luigi Laraia play Too Close, helmed by Pablo Andrade, shown at right, won the Best Drama Award at Capital Fringe Festival in Washington, District of Columbia. The two-hander was presented in July at the Martin Luther King, Jr. Memorial Library and starred Richard Tanenbaum and Daniel Owen. For more information, click here. Fabián Zarta will be presenting his self-penned and self-directed solo show Nariño. It will be presented in August at the Teatro Bernardo Romero Lozano at the Círculo Colombiano de Artistas in Bogotá, Distrito Capital, Colombia. For more information, click here (note that the website is in Spanish). Modesto Flako Jiménez, shown at left, and The Bushwick Starr (the theater located in the Bushwick area of Brooklyn) received honoraria and The Princess Grace Award for Theater and Playwriting. For more information, click here. Alberto Bonilla is a finalist for a 2016 Backstage Reader's Choice Award in the category of "Favorite On-Camera Teacher (NYC)". The voting process for finalists opened Monday, July 25, 2016 and will continue until Sunday, August 7, 2016. Winners will be announced in Backstage's Thursday, September 1, 2016 print issue. For more information, click here. To cast your vote, click here. Olga Merediz performed alongside such luminaries as Audra McDonald, Brian Stokes Mitchell, Idina Menzel, Wilson Cruz, Lena Hall, Ben Vereen, Idina Menzel, Roz Ryan, Sharon Gless, Tyne Daly, Tom Wopat, Darius de Haas, and Rosie Pérez, among others, as part of the supergroup Stars on Broadway, who performed its charity single, "What The World Needs Now Is Love" (written by Hal David and Burt Bacharach) live at the 2016 Democratic National Convention in Philadelphia, Pennsylvania. To see a full list of the performers, read the article in Playbill Online by clicking here. To see the performance, click on the video below (she can be seen soloing between 01:48 and 01:51 of the video, and again between 03:33 and 03:35 of the video). In this edition, Tío Louie interviews actress, producer, HOLA member (and HOLA Awards honoree) Andrea Navedo, where she talks of her role on The CW's "Jane The Virgin", winning an HOLA Award, and her role as actress and producer of the stage play Other People's Money, playing in New York this summer. Can a proud Puerto Rican from the Bronx play an Irish woman in a small New England town? When I asked actor and acting coach Rosie Berrido to describe working on stage with Andrea Navedo– who not only plays the lead actor in this revival of Other People’s Money (directed by John Grabowski) but is also the co-producer of the theatrical production– she said, "I have only two words [to describe] Andrea– Wonder Woman". The CW's "Jane The Virgin". For a career that has stretched 20 years, she is most recently known for playing Xiomara Villanueva, mother of the title character (played by Gina Rodríguez) in The CW's "Jane The Virgin". Now she takes it up a notch making the jump from television to theater and turning the spotlight on a particular plotline resonating with so many today. Jerry Sterner, who wrote Other People’s Money in the 1980s, wove a tale of the infamous financial industry’s wheeling-and-dealings through a play about a Rhode Island wire and cable factory’s attempts to fend off a hostile takeover by a Wall Street financier. The play originally premiered in the West Village’s Minetta Lane Theatre in 1989 and in 1991 was made into a feature film starring Danny DeVito and Gregory Peck. Now, its revival is being co-produced by the production company Navedo owns, Nicava Entertainment, along with the Chelsea Repertory Company. Funny how life has a way of making a full circle as Andrea returns to the Chelsea Repertory Company where she trained as an actor at The Acting Studio. Here is my interview with her about her role as Kate Sullivan in this theatrical production and the journey that got her there. Tío Louie: I can’t imagine that it wasn’t slightly intimidating to do a theatrical production of a project that was previously a 1991 film with Danny DeVito and Gregory Peck, directed by award-winner Norman Jewison that generated $25 million at the box office. How do you compete with that kind of pressure? Andrea Navedo: I still have these moments where I’m like, "S---, what have I gotten myself into?" The playwright is deceased, but his two daughters are coming with their children. They are coming to see the play! You want to talk pressure? The lead character for which this project is scripted is Irish and I’m going against that as a Latina. Plus, my peers are coming to see the play. TL: It’s challenging enough that you are producing for the first time, but on top of that you are acting in this play. Are you a glutton for punishment or embracing a new challenge at this stage in your professional life? AN: I’m embracing a new challenge. There are several mornings when lying in bed, I’m wondering, Why am I not just chilling during hiatus from the TV series? Why not just lie around and get my nails done? Why not take my kids to camp? Am I paying enough attention to my kids… my husband? And there are times that I feel self-empowered. Doing a play was an idea in my head in January/February and here I am doing it. No one is 100% satisfied with all their choices. TL: For a change the tables have turned on you. Rather than auditioning for a role, you actually cast the actors for this theatrical production? How was that experience? AN: It was a great learning experience as an actor to learn what casting directors go through. It’s not about being the best actor necessarily. It’s about having the right sensibility, look and even height that came into play. My director wanted certain dynamics between two actors in conveying a power play with one being taller than the other. Sometimes it even came down to aesthetics and as an actor, I hated that. But these were important elements in delivering the story for the audience. In the future I will not be insulted when I don’t get a role. I was also shocked to see people come in who were not prepared– after years of beating myself for not being good enough. It even boils down to what they wore to the audition that sometimes impressed me or not. The roles are around Wall Street people and some actors came in suits and others came wearing jeans. It helps me envision you in the role depending on what you wore. One of the actors had read the entire play and it made a difference in what they delivered. You got to see who had training and who didn’t. That’s why my mantra is, Train, train, train. I am training myself by being part of this play. TL: What did it mean for you to receive the 2015 HOLA Elizabeth Peña Breakthrough Artist Award? AN: It meant a lot being recognized for "Jane the Virgin". But it took 20 years and all the work I have accomplished. Because of HOLA, I got one of my first, professional SAG jobs and it just came full circle. If someone had fast-forwarded years ago and said this was to happen, I would not have believed it. TL: What $0.10-worth of advice [originally 2¢ for your thoughts, but increased by Tío Louie for inflation] do you have for a young person who yearns for fame and fortune and assumes that you have it all? AN: Not to put value on numbers. The most important thing for a creative person is their training– that is nothing that can be taken away. You can be hot one day and not the other. Who knows what will happen to me after "Jane"? This could be my last gig. I have heard Dustin Hoffman wonders if he will ever work again. Study and train. The numbers on Twitter will not feed your soul. Doing this play feeds my soul and they are stepping stones. Your last step is when you die. Rita Moreno is still working. Other People's Money starts performances on Friday, July 29, 2016 and runs until Sunday, August 14, 2016 at the Chelsea Repertory Theatre at Shetler Theatre 54, located at 244 West 54th Street (between Broadway and Eighth Avenue) in the theater district of midtown Manhattan. For more information, click here. Founder & Executive Producer of PRIME LATINO MEDIA, the largest network of Latino multimedia-makers and actors on the East Coast that hosts the PRIME LATINO MEDIA Salón, New York metropolitan area's only network gathering in which over 60 narrative & documentary filmmakers, programmers, casting agents, TV & digital media producers and actors have been interviewed. PRIME LATINO MEDIA is happy to partner with the Hispanic Organization of Latin Actors (HOLA) on events that serve the Latino/Hispanic artistic community. An interactive content producer and educator who for the past 34 years has owned Skyline Features, a bilingual (English- and Spanish-language) multimedia and educational production company developing documentaries, television programming and advertising commercials featuring Latinos, Blacks, Women, Urban Youth and LGBT, he has produced 70 documentary shorts with 1,500 Latino and Black Youth. Producer/Director/Writer of documentary feature, Latina Confessions (2010) and airing on PBS nationally was co-producer on American Dreams Deferred (2012-2014). Check out Louis E. Perego Moreno (Tío Louie) on Facebook (here and here), Twitter, Instagram, Vimeo, and LinkedIn. To follow PRIME LATINO MEDIA on Facebook, Twitter, and/or Instagram, click on the links in this paragraph.